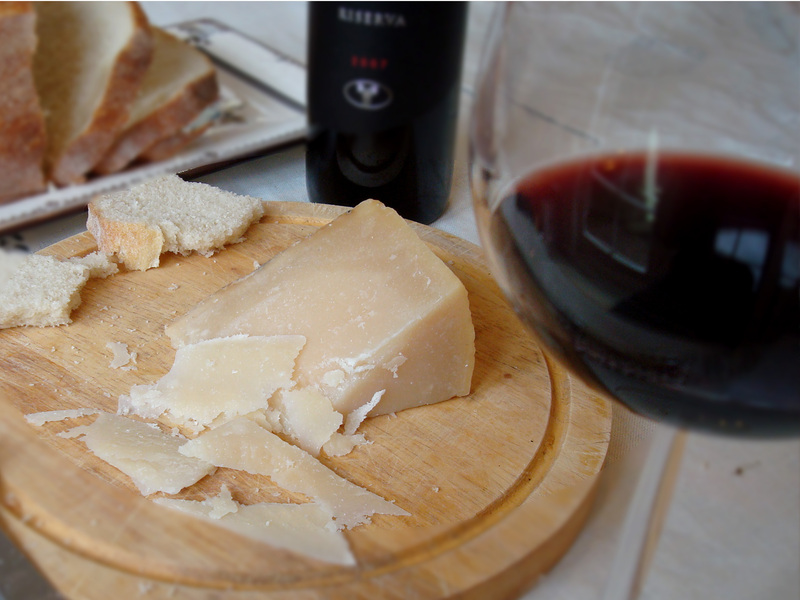 Evoking a sense of time and place, wine and cheese from Sardinia. A sip of wine and a slither of cheese and I’m transported. Sea beeze rustles through pine, salt on my tongue, I feel sun reflected off blue water, warmth radiating from ancient rocks. This is Pecorino di Sardo eaten with a Sardinian red. It evokes a time and place – is this terroir I wonder? I’ve never been to Sardinina and so can only feel a stereotype – a hotchpotch of TV shows, holiday snaps, and the heavily moustached Sardinians of Asterix comics. Willingly I succumb to the power of taste on my imagination. My latest quest, oh cheesy friends, is to explore Italian cheeses and wine. I’m ‘in training’ for an upcoming holiday. Have you got any suggestions? Pecorino is a classic Italian sheep’s cheese from Central and Southern Italy. Patricia Michelson describes them as ranging from hard, gritty and fruity through soft and buttery, fresh and light. Some are rubbed in wine, others covered in bracken and vine or suffused with truffles. All Pecorino’s are appended by a place name that tells you its type. Pecorino Dolce de Sardegne – a soft, smooth young cheese. I chose two from Sardinia. Pecorino di Sardo and Pecorino Dolce di Sardegne. One hard and dark, the other soft and light. They show the variety of ewe’s milk cheese and, I hoped, the impact of age as I’d read that Italians often sell a single variety at different ages. I’m not sure if my two are actually different cheeses, but you can see the impact of aging, the development of sugars from simple, milky sweetness to aromatic, nutty caramels, the emergence of tyrosine crystals, tiny, grainy and crunchy The more I eat, the more I appreciate these harder, older cheeses. Like New Zealand Sardinia has more sheep than people, and over the centuries they’ve developed exceptional sheeps’ cheese. 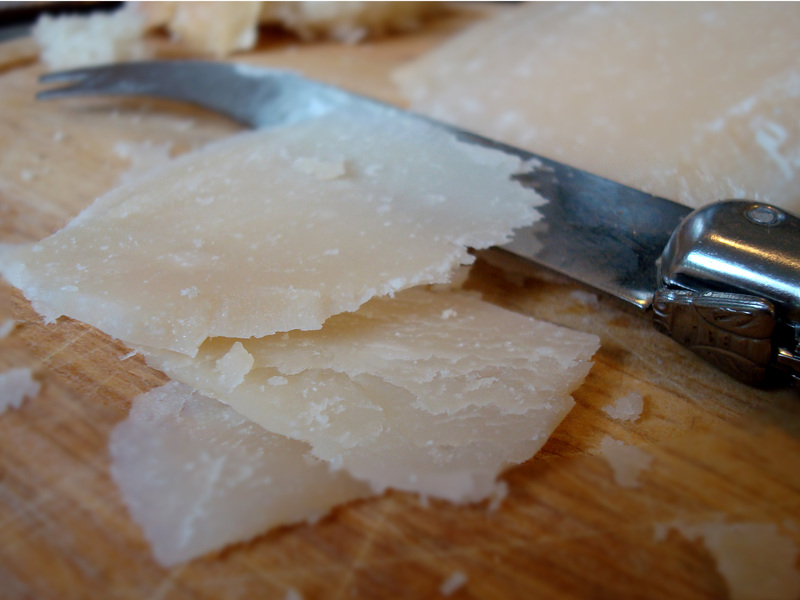 The Pecorino Dolce di Sardegne is soft and sweet and pliable, with a baby’s bum smoothness. Slightly lanolin, it is easily washed down by the robust Sardinian red I’m drinking. 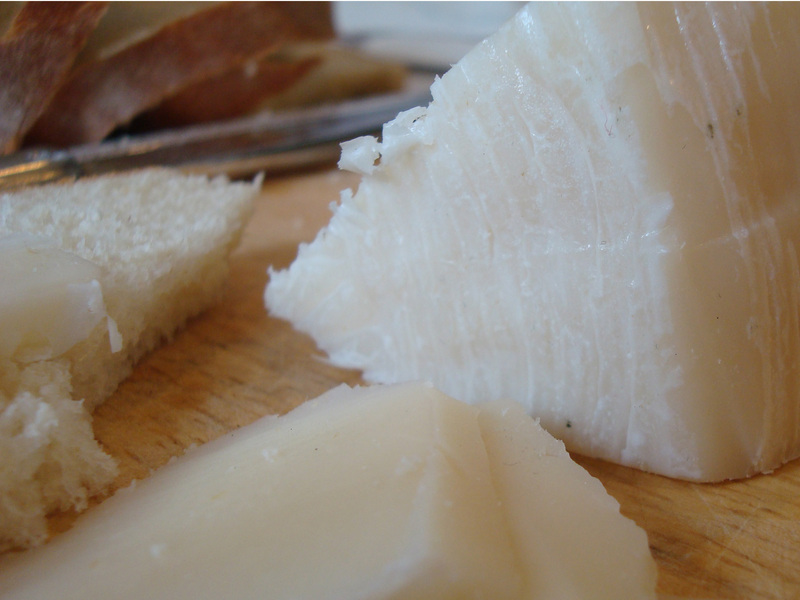 Pecorino di Sardo – an exceptional sheeps cheese. I move on to the Pecorino di Sardo. You feel the difference as soon as you pick it up. The rind gnarled, aged and a bit scary. Shaving off a slice it is flinty, slatey. Peppered with tiny holes it has developed those crunchy crystalline structures so divine on the tongue. Salty yet sweet, burnt caramel undertones coasting on a sea breeze. Nutty and with only a hint of the sheep that urges another sip of wine. 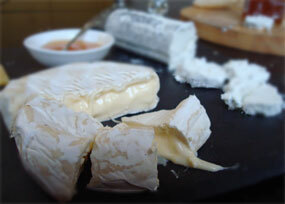 This is a DOP cheese, made in the traditional way, delicious on a cheeseboard or grated over food. We had an aged Cannonau di Sardegna with our cheeses. Unfamiliar with Italian wine styles, I opted for a wine from the same locale, again terroir. Deep red, it had tannins and a savoriness unfamiliar to my Pinot-noir-soaked taste buds. Pine wafts over to me, not bosky floor but the macrocarpa of coastal forests. My Sardinian imaginary shifts and I have returned from a dog walk through the trees at Waitarere beach. Licking salt off my lips, I take another sip, sample a little more cheese. You can get these cheeses and wine at Mediterranean Food Warehouse. yummmm – very evocative post Lucy; when are we leaving? Ahh… I’m counting the weeks! Next Next post: Birthday cheese love!